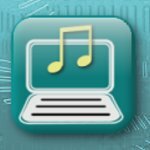 TrueRTA is an audio analyzer application for testing and evaluating audio systems using a Windows PC with basic sound capability. Audio Silence Remover Pro helps to remove silence from multiple audio files together. It converts audio between MP3, WMA, WAV, M4A, RA, OGG, FLAC, etc. Monkey’s Audio is a fast and easy way to compress digital music. SoundSwitch makes it easier to switch playback devices (sound cards). Play, examine and edit MIDI files with CANATO's application MidiYodi. 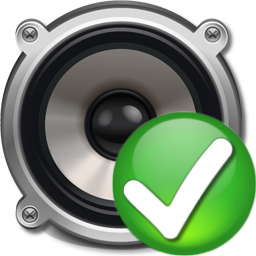 AD Sound Tools is a real-time software that provides effective use of your PC sound devices. Snooper allows you to record the sound from various sources, using an intuitive interface and a large number of features. Best Audio Recorder to record high-quality music from Online Music Streaming. It supports the mp3 format with excellent output quality. 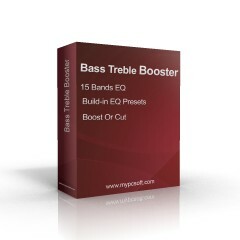 Boost bass or treble frequencies, cut bass or treble frequencies, convert to lossless audio formats FLAC, Wav or Mp3.